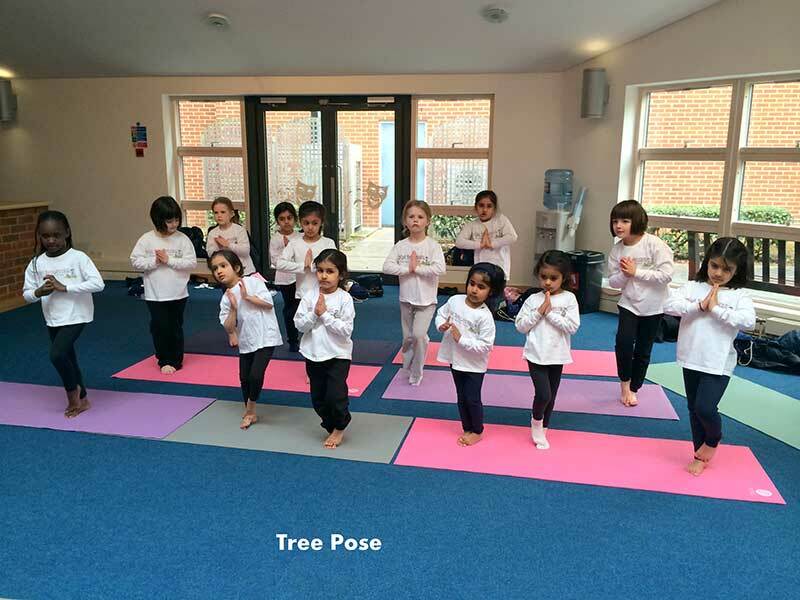 Yoga Paradise has successfully been running yoga sessions for children at nurseries and schools. 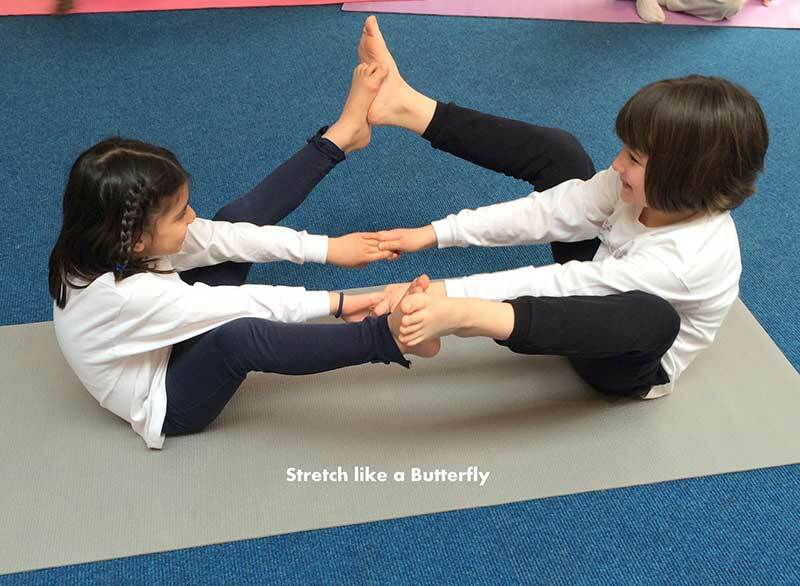 Yoga for children is fun and imaginative, it gently makes the children more aware of their breathing and gives them a sense of self belief and self confidence. We work on a 10-12 session per term programme, three times per year during curriculum or as an after school club. 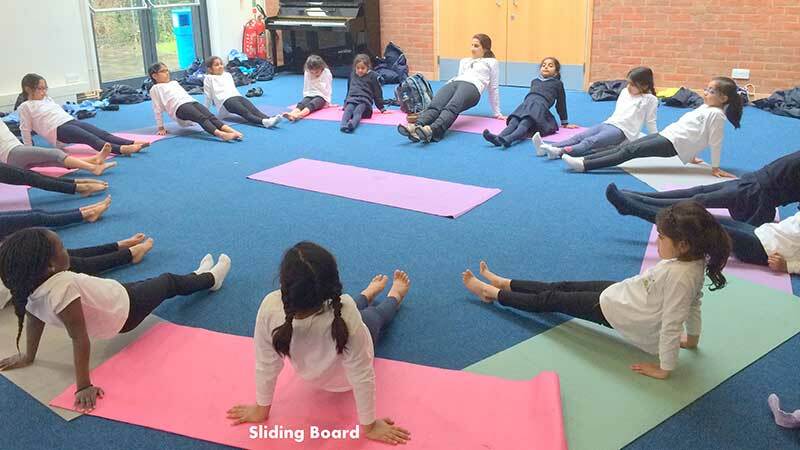 The yoga sessions are carefully structured with various adventurous themes to suit different age groups. We currently teach from 2 years up to adulthood. Plenty of repetition is used for the younger children to reinforce what they have learnt. Sessions include fun yoga postures, easy breathing techniques, yoga games, relaxation and meditation. We run special workshops for children/teenagers to help them cope with exam pressures and give them tools that help them stay calm & relaxed. 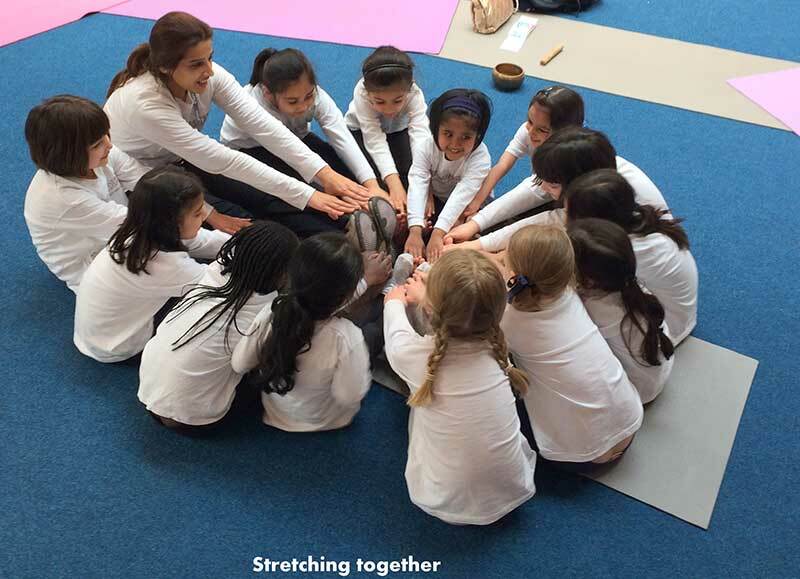 We hold Breathe Out Stress Breathe In Calmness Workshops at schools and private group classes. We recommend a 4-6 week programme, however changes can be made to suit the requirements of the school and children. We offer a free trial session. To arrange for your trial session please contact us. Practice any simple meditation for a few minutes before you start your studies. Those few minutes of meditation actually help you to relax and it has been observed that children perform their best when they are calm and relaxed. Breathing is one of the most important and basic acts of life. Breath is connected to the mind. When the mind is overactive and anxious, the breath is shallow and fast. However if you breathe in and out, taking long deep breaths, you will observe the breath gets slower and longer. The deeper the breath, the higher the intake of oxygen supplied to the brain thus promoting a healthier and more efficient mind. Sit up straight, cross your legs with eyes closed. Get your hands in a fist close to your shoulders. Inhale stretch and raise your hands up opening your hands and exhale bring them back close to the shoulders in a fist again. Do this 26 times vigorously and sit in silence for 2 minutes or more. Benefits: Helps you to focus, gives clarity in the mind and helps you feel calm and peaceful. You can also do six rounds of Surya Namaskar (also know as the mountain story to the younger children). Benefits: It is a complete physical workout which leaves you feeling healthy, fresh and energetic.